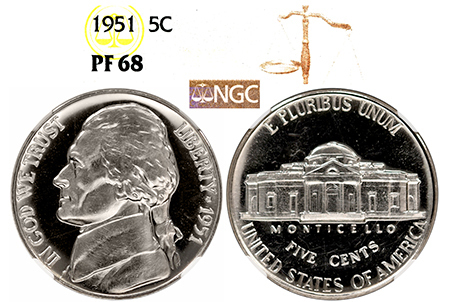 This 1951 Jefferson offers a light cameo on the obverse and extremely clean, spot-free, haze-free, and tone-free surfaces! Superb condition and eye-appeal for a very difficult year to find in what looks like brand-new condition! 280 graded by NGC.